[EN] Lemurs are strepsirrhine primates endemic to the island of Madagascar. Fossil records suggest that lemurs reached the shores of Madagascar by crossing the ocean in vegetation rafts. While their ancestors competed with monkeys and other primates in continental Africa, lemurs were able to evolve free from competition. This allowed them to differentiate from other species. The word lemur derives from the Latin lemures, which means "night spirit" or "ghost" and was probably coined due to the fact that these are nocturnal animals. 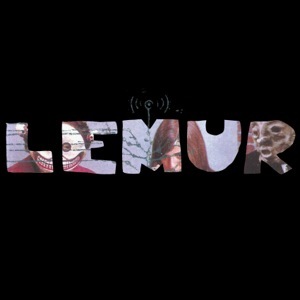 Lisbon-based Lemur was a "ragingly instrumental rock band", active between 2003 and 2006 and since hibernated. During that brief period of time they played about fifteen shows, sharing the stage with bands like Brainwashed by Amália, Katabatic, Bypass, Ölga, The Allstar Project, Frango and Puget Sound. They self-released a demo CD and later released an eponymous EP through the Merzbau netlabel. They also contributed to compilations such as "Animal Repetitivo", from the 2005 Out.Fest – an "exploratory music" festival which included Lemur in its first two editions – and "Can Take You Anywhere You Want", a release featuring Bor Land acts. Lemur went on to record exclusively for Borland three songs that have remained unreleased until this day. Lemur's long slumber is now over: they are digitally releasing all their recordings, including previously unavailable tracks, in a joint effort between Enough Records and Associação Terapêutica do Ruído. The songs will be available for download at no cost. Lemur will also return to the stage (16 November 2013) to celebrate the 10 years of Sonic Fest, the festival they created with Brainwashed by Amália and where they played their first gig in July 2003. [PT] Os lémures são primatas estrepsirrinos endémicos da Ilha de Madagáscar. Indícios fósseis indicam que atravessaram o mar após Madagáscar se ter separado de África. Enquanto os seus antepassados competiam com macacos e outros primatas, os lémures estavam a salvo, sem qualquer tipo de competição e por isso diferenciaram-se. A palavra lémure deriva do latim e significa "espírito da noite" ou "fantasma" e deve-se provavelmente ao facto de estas criaturas serem noctívagas. Os Lemur de Lisboa eram uma banda de "rock furiosamente instrumental" que esteve activa entre 2003 e 2006 e que desde aí tem estado em hibernação. Nesse breve período de tempo deram uma quinzena de concertos, partilhando o palco com bandas como: Brainwashed by Amália, Katabatic, Bypass, Ölga, The Allstar Project, Frango e Puget Sound; editaram uma maqueta em edição de autor e um EP homónimo pela netlabel Merzbau e colaboraram em algumas compilações como a "Animal Repetitivo" do Out.Fest de 2005, festival em que participaram nas duas primeiras edições e a "Can Take You Anywhere You Want" da Bor Land, editora para a qual chegaram a gravar algumas faixas que permaneceram inéditas até hoje. Despertam agora da sua longa catáfora não só para reeditarem em formato digital e gratuito a sua discografia completa, incluindo alguns inéditos, numa parceria entre a netlabel Enough Records e a Associação Terapêutica do Ruído, mas também para celebrarem os 10 anos do Sonic Fest, (16 Novembro 2013) festival que organizaram em conjunto com os Brainwashed by Amália e onde se estrearam ao vivo em Julho de 2003.